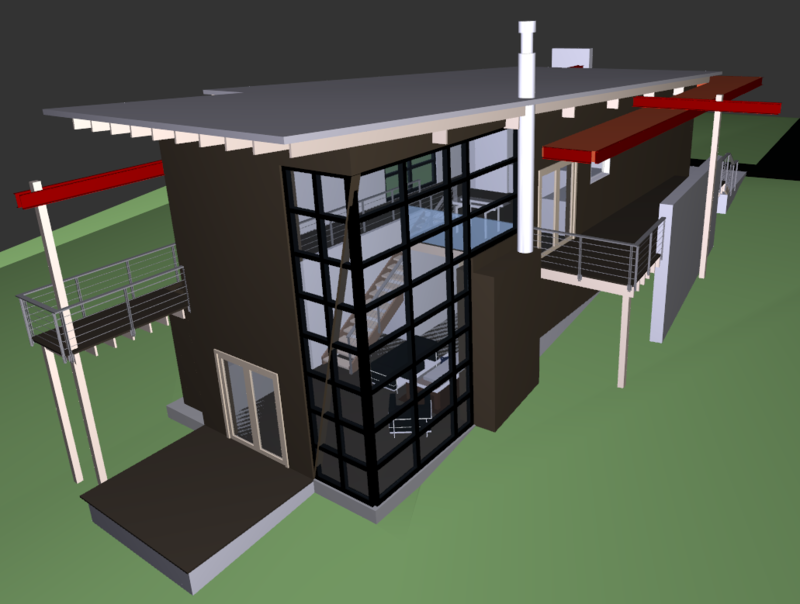 This example uses the Autodesk Revit reader with the Building Elements with Hierarchy data view to write to Trimble SketchUp and Adobe 3D PDF. This example originally uses a Revit Export file created from the basic sample project included in Revit 2013, using the FME Exporter plugin for Revit. The FME plugin is automatically installed with FME, or you can download it separately with the standalone installer. We cannot include the source data with this example, but this example should work with any Revit Export file you create from your own Revit projects. If you do not have any Revit files on hand, you can download the buildingSmart Alliance Duplex Apartment COBie sample. The Revit RVT file can be downloaded from the buildingSmart Common Building Information Model Files page, in Project 1 - Duplex Apartment. Select the file 2011-09-14-Duplex-RVT. Download the data and in Autodesk Revit, open up Duplex_A.rvt and use the FME Exporter to export it to Duplex_A.rvz in order to bring it into FME Workbench for FME versions 2018.1 and older. Note that a native Revit Reader is currently in development so the FME Exporter will not be required when that becomes available. The Adobe 3D PDF writer creates a hierarchical 3D model from the source features. In order to retain the attribute information, we must move it from attributes on the features to traits on the feature geometry using the GeometryPropertySetter. For more information on geometry traits, please the see the FME Documentation. The Adobe 3D PDF writer identifies the feature using the geometry name. A second GeometryPropertySetter is used to set the geometry name to the Revit feature type, stored in fme_feature_type. The output Layer name is set to the fme_feature_type + 's', to create a Layer for each type of feature. The Revit feature type will be used to set the Layer Name in SketchUp, in order to differentiate the features. The Sketchup Layer Name must be stored on the geometry as a trait. In SketchUp, measurements are important, and it is convenient to have the model centrally located. We will use a CommonLocalReprojector to reproject to a local coordinate system centered around the model, with the units in meters. Vertical Handling must be set to 'Heights are relative to the ellipsoid or geocentric' in order to scale the Z values as well as the XY. SketchUp is a folder-based writer, so the the output file name will come from the output feature type. In order to retain the Revit file name, we set the output feature type to fme_basename, which contains the root name of the source Revit file. 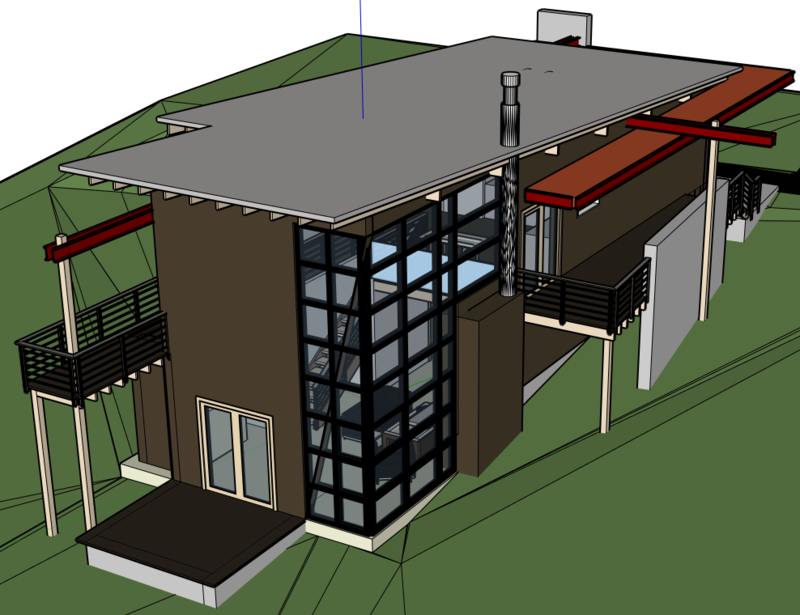 The output PDF and SketchUp models retain the Revit appearance. The output features in SketchUp have their original feature type stored in the SketchUp Layer Name. 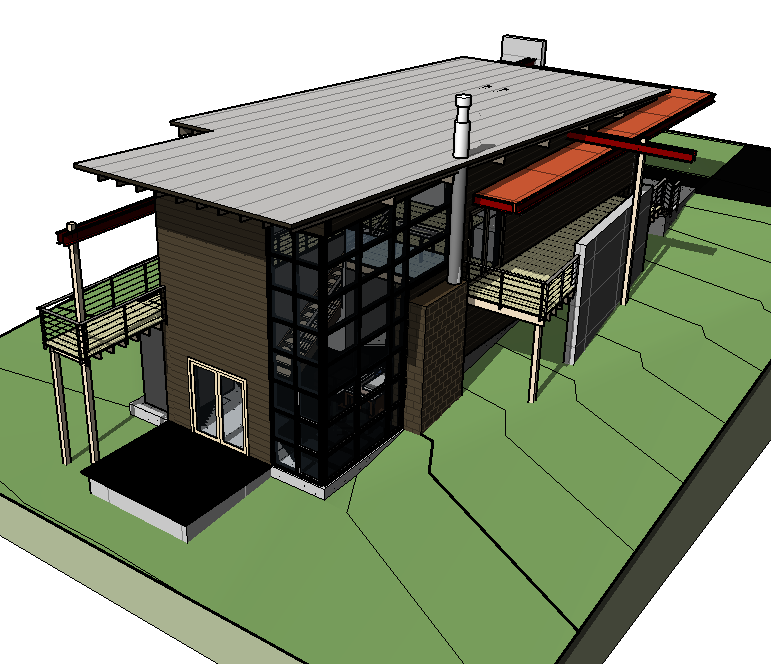 If you were using the Duplex_A example, this is what the output would like in SketchUp online.